The Philippine National Bank (PNB) Naval Branch is located on the corner of Caneja & Ballesteros Streets, Naval, Biliran Province 6543. 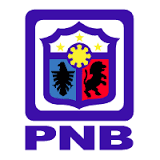 The Philippine National Bank is one of the largest banks in the Philippines. It was established by the Philippine government on July 22, 1916, during the American Occupation. Authorized Depository of the Republic of the Philippines Member of PDIC.